Life can be busy!! Often through that busyness, we loose sight of the culture / traditions that bonds us as a family. Movie nights, snuggle times, family trips to the park.. all times that speak of connection, closeness, love, warmth, joy, celebration and reassures us that we matter. 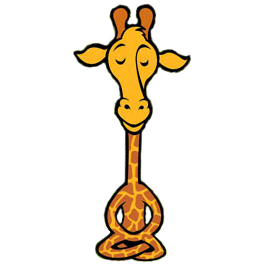 We at the Med Giraffe, are currently working with a family group which includes two young people aged 11 and 14, who see the value of what NVC / Dynamic Governance can contribute to their lives as individuals and as a family. What does this work look like in a “typical” session? We start off with a Needs check in … “Thinking about the time since we were last together, what needs have been met / unmet” This is a great way to connect to what’s important to us as individuals. We then launch into the Dynamic Governance Decision Making Process with a review in rounds (each person shares one at a time) what’s been working as a family over that time. A great chance to celebrate each other and the striving as a family! Enter DOTOCRACY! Each person gets three dots to choose thing that is not working that they feel most impacted by in this moment. This is where we gauge the desire for change and movement forward. Then it’s time for creativity! Let’s look at the chosen thing that is not working and brainstorm strategies to address that thing. Each person gets their sacred space to talk to express their creative ideas that they are drawn to. All ideas at every point are written up on a white board and photographed by all family members to keep as a reference. Re-enter DOTOCRACY! Each person gets three dots to choose the strategy / strategies that they are most drawn to. We count the dots and write up the strategy that has the most dots. If you want to chat with us about how you could introduce this into your family / work / organisational culture, give us a call.